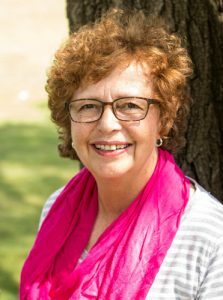 Donna Hart, PhD, has been counseling in greater Chicago for more than 15 years and is a counselor at Biblical Counseling Center in Arlington Heights, IL. She also enjoys being an adjunct professor in the adult undergraduate department at Trinity International University. Her education includes a Master of Divinity degree from Trinity Evangelical Divinity School and a PhD in biblical counseling from Trinity Seminary. Prior to becoming a Biblical counselor, she owned a personal chef business. She still loves to cook and often hosts dinner gatherings, at Donna’s diner (a.k.a. her kitchen). Prior to being a personal chef, she was an interior designer focused on office spaces. She has been married to Don for 20 years with their miniature schnauzers Rossie and Spanky. When she’s not counseling or blogging, Donna enjoys golfing, exercising, and knitting. be conformed to this world, (Romans 12:2). those conditions by engaging in disciplines that open our hearts to encounter more of God. Liliana grew up in Chicago’s northwest suburbs, and currently resides in downtown Chicago. She is a recent graduate of Moody Bible Institute, and holds a Bachelors of Music and Worship in voice. She has over 12 years of vocal study, and has professional training in a variety of music genres, styles and vocal techniques, including musical theatre, sacred music, choral and classical music. Lili began pursuing a career in music at age 12, when she started taking private voice lessons. Since then, she has gained performance experience throughout the Chicagoland area, singing in church services, choirs, musicals, competitions, weddings and funerals. Lili has been teaching private music lessons since May of 2015, giving instruction to both adults and children. Lili’s heart for teaching stems from her desire to see others grow in the gifts the Lord has given them. She desires to disciple and equip students of all age groups and skill levels with practical tools to become better musicians! 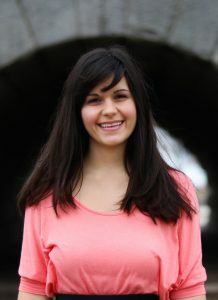 Currently, Lili serves as a worship leader at 180 Chicago Church in Chicago, IL. Lili hopes to continue a career in teaching by opening her own music studio, while supporting the local church through worship ministry. When she’s not making music, Lili enjoys exploring Chicago, cooking, running, and board game nights with her friends.